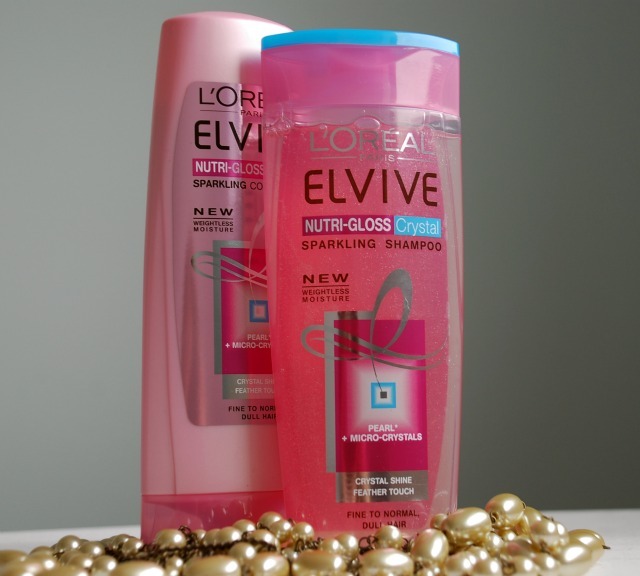 I am a sucker for pretty packaging, and the new Nutri-Gloss range from L'Oreal Paris has totally won me over. Sparkly shampoo and conditioner with a pearl shine? Sold. Along with a 60 second saviour that smells beautiful? Yes please. Weightless Moisture: The formula quenches the hair-fibre with moisture, leaving it feeling velvety soft and as light as a feather. Micro-Crystals: Embedded with visible Micro-Crystals + Pearl, the sparkling formula illuminates and smoothes the hair's surface for better light reflection and crystal shine. The range, built of a Sparkling Shampoo, Sparkling Conditioner and 60 Second Saviour Intensive Conditioner is designed to help give your hair up to 50% more shine. 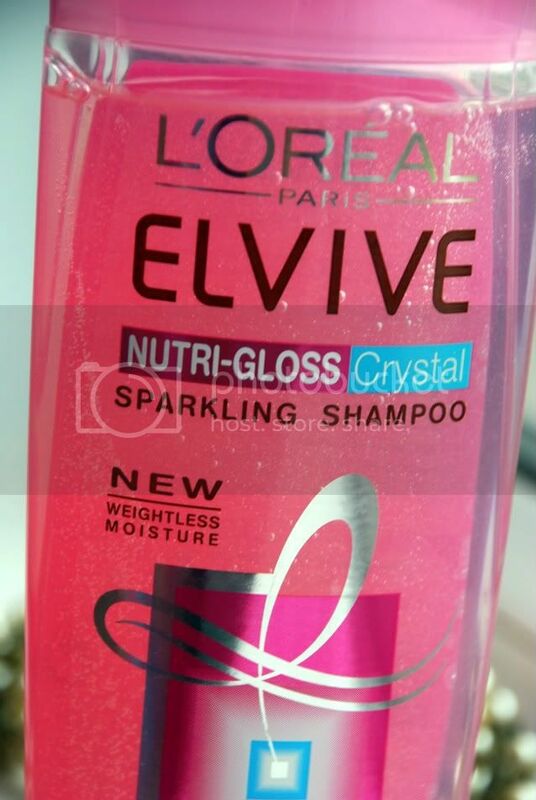 I was amazed at the shampoo actually being sparkly. 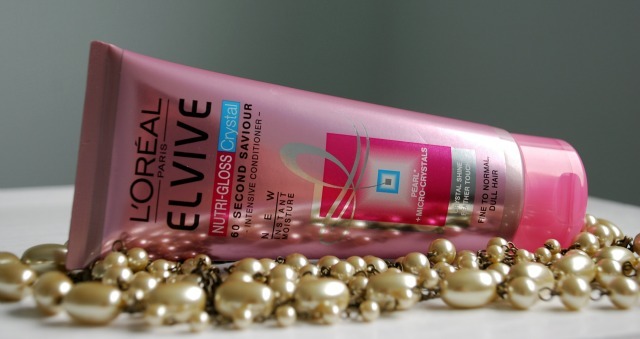 It has a gorgeous shimmering quality which I think sets it apart from other ranges, the conditioner has more of a pearly look to it, and has a medium consistency. A little goes a long way, it moisturises and the ends of my hair are looking a lot smoother thanks to using this. If you prefer haircare that doesn't carry much of a fragrance, I'd avoid this. The intensive conditioner has a strong, albeit, lovely scent that stays with your hair. I personally love that when I swish my hair I get a hint of the treatment. As for shine, I've been using this for around a week now, and my hair seems light, bouncy and considering I've been at the colour and bleach recently, it looks in great condition.I've been using the intensive conditioner around twice weekly, leaving on for the recommended time. When using the intensive conditioner I've avoided using the normal conditioner - due to not wanting to weigh my hair down as it can be flat and lack volume. The range is designed for normal to fine hair that may be looking a bit dull and in need of a boost. Value for money is fabulous, at £2.69 for the Sparkling Shampoo (250ml) and £2.69 for the Sparkling Conditioner (250ml) is great price per wash. The Intensive Conditioner (200ml) is £6.99 making it an average priced product that gives your hair a lovely luxury treat. Have you tried this dazzling range? Are you attracted by packaging or do you look for something else? I really want to try this, purely because I am a sucker for sparkle! Haha! Definite haircare winner in my eyes. Hairdryer wise, I use a Paul Mitchell one, it cost £99.99 and I've got a review coming soon on it. Found it to be a brilliant dryer, bit heavy though. Would love to know how you get on Beckie! Really like the look of these, who doesn't want sparkling hair!